The organization that helped sue D.C. police over interim Chief Peter Newsham’s handling of anti-globalism protests in 2002 now alleges that the department won't provide information on its handling of inaugural protests. 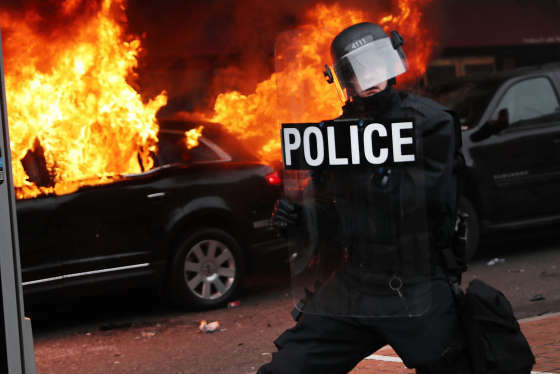 WASHINGTON — The organization that helped sue D.C. police over then-Assistant Chief Peter Newsham’s handling of anti-globalism protests in 2002 now alleges that the department is withholding information on its handling of January’s inaugural protests. The nonprofit organization cites the First Amendment Rights and Police Standards Act (FARPSA), which the council enacted 12 years ago to ensure record-keeping and accountability “after lengthy investigation and hearings into significant police misconduct,” including by Newsham. Last month, Mayor Muriel Bowser picked the interim chief to fill the role permanently. As a result of Newsham’s handling of the 2002 World Bank protests in Pershing Park, the District ended up settling with nearly 400 protesters and bystanders — who sued over the mass arrests — for over $8 million. In that incident, the crowd had not been warned to disperse before the roundup. Some were held for more than 24 hours before being released, and some were hogtied. Last month, Newsham said his department had successfully applied the lessons it learned in 2002. It also contends that the use of chemical irritants and “other weapons” was indiscriminate. 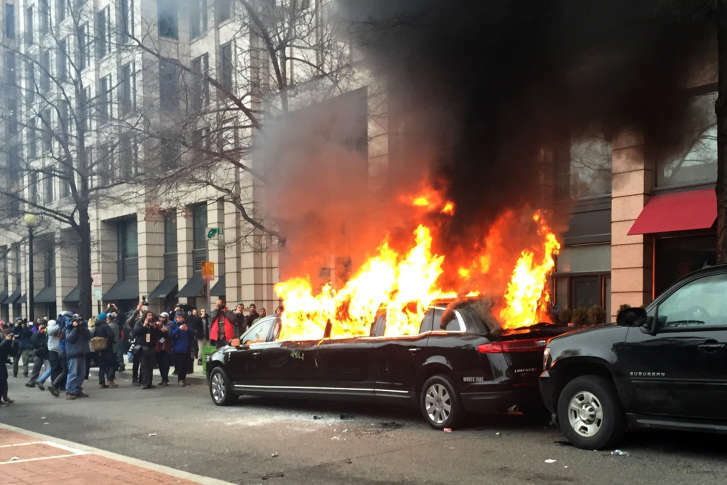 “The records sought are specific to the MPD’s controversial handling of demonstrations against the Trump administration on January 20, 2017, and are crucial to the public’s understanding of, and ability to evaluate, the MPD’s conduct,” the suit states. Around 230 were arrested during the protests. In addition, the organization alleges that police records required under FARPSA have yet to be provided. Efforts to obtain that information under the Freedom of Information Act began Jan. 26 and have been unsuccessful so far. Written reports by scene commanders within 48 hours of deploying officers in riot gear, and that such reports be made available upon request. Written reports by the scene commander to the chief regarding determinations to use “large-scale canisters” of chemical irritants within 48 hours of the event. Written documentation of arrest warnings given. Documentation of orders to disperse (and the methods used to effectively communicate such orders). D.C. police and Newsham “are standing in willful disobedience of their lawful obligations to disclose information … including defiantly stating a refusal to disclose information where such information is mandated by law that it ‘shall be made available to the public on request,’” the plaintiffs contend. Among other things, the suit seeks an order that the District produce the requested records within 10 business days, as well as legal costs. PCJF is also seeking reports from the scene by police officials about how arrests were made, what warnings were given to the crowd and what methods were used to order people to disperse. Another lawsuit over police conduct during the inauguration was filed by a Colorado attorney in January. In an email late Thursday, D.C. police cited its policy to not comment on pending litigation.